We know you`ll love this studio and central location! Minutes away from Deribasovskaya street and Sobornaya Square! Apartment is located on the Ground floor. Nearby supermarket, gym, parks, theatres, museums, and public transportation. Everything you need is at your doorstep! You can be met in arrivals hall at the airport, or at your train car at the train station (the English speaking driver will have a sign with your name in it), he will give you a ride to your apartment and check you in. The price is of a round trip!!! Located in the down town of Odessa in the main street, which is filled with vibrant people and activity (bars & restaurants). The apartment has all necessary things. It`s on the 3nd floor of a walk-up building. The amount of restaurants, bars and art galleries there are in the area. This beautiful studio with all the basics has the perfect location for Odessa explorers. It is in Gavannaya street - means you are in the thick of it all! Live like a local! Guests may use a small kitchen area - there are all necessary things there. 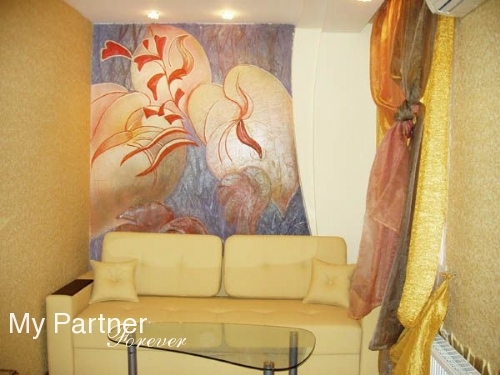 Large, clean, cozy studio within a 2 minute walk from City Garden, and a few blocks away from Primorskiy Boulevard. The neighbourhood is fantastic, with any amount of restaurants, supermarkets and nightlife close by. One room newly refurnished apartment on Grecheskaya St., downtown of Odessa, 1 minute walk to Deribasovskaya Street maine street of the city. There is a queen size bed, closet, TV set with cable TV, WiFi internet. Small size bathroom (with shower cabin)and WC are combined. This apartment is equipped with: air conditioner, washing machine, CD player, TV set, fridge, iron, micro oven, fridge etc. Cafes\Restaurants, 24hour shops\malls are nearby. You can be met in arrivals hall at the airport, or at your train car at the train station (the English speaking driver will have a sign with your name in it), he will give you a ride to your apartment and check you in. 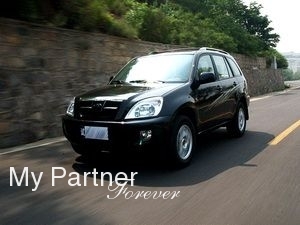 Cars are – Crossover or Sedan. RECOMMENDED!!! Stunning renovated to high standard 2 bedroom apartment located on Deribasovskaya St., just the heart of Odessa, along with numerous other attractions as well as bars, restaurants and cafes. Living room comes with modern furniture, TV with Cable TV, DVD player, Air Conditioner. 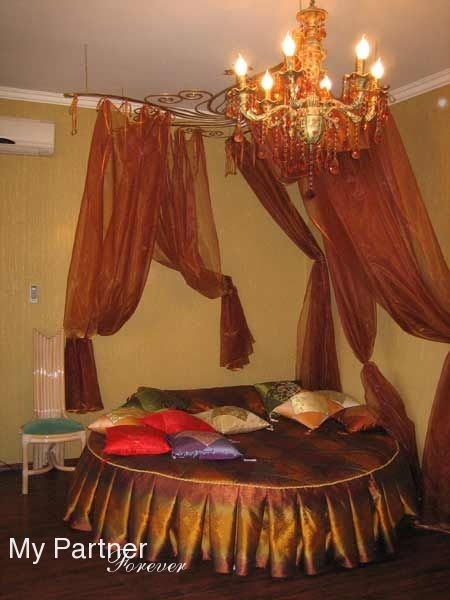 Each bedroom has large king size bed, LCD TV, Air Conditioner and wardrobe. Modern open plan kitchen has all necessary cooking and dining utensils. Fully tiled bathroom has shower cabin. All new furniture throughout. 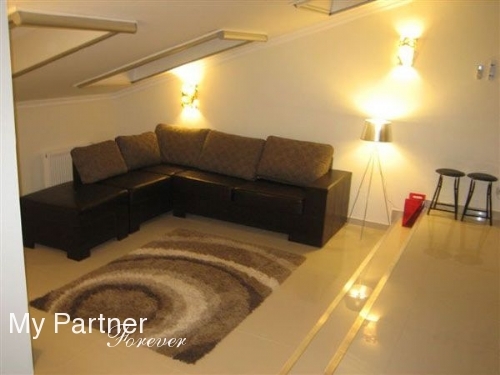 Overall, an excellent apartment in a perfect location. Top centre of Odessa - near Opera Theater and the main street Deribasovskaya, around o’clock supermarkets, lots of restaurants and cafes around. The newly renovated apartment has all facilities also WiFi internet, shower bathroom, necessary bedding and bath accessories. Derybasivskaya Street is the main street of Odessa city. It is unique by its magnificent architecture, crowds of people leisurely sitting on terraces of bars, cafes and restaurants, no vehicle traffic and big shady linden trees. The apartment is located exactly on this street – cosy and comfortable equipped with air conditioner, autonomous hot water supply, microwave, electric kettle, electric cooking panel, refrigerator, telephone with free local calls, TV set, cable TV, washing machine, dryer, iron, hair dryer, High Speed Internet (WI-FI) only, autonomous heating system. Parking is available in the yard. Fully tiled bathroom with big corner shower cabin. Derybasivskaya Street is the main street of Odessa city. It is unique by its magnificent architecture, crowds of people leisurely sitting on terraces of bars, cafes and restaurants, no vehicle traffic and big shady linden trees. 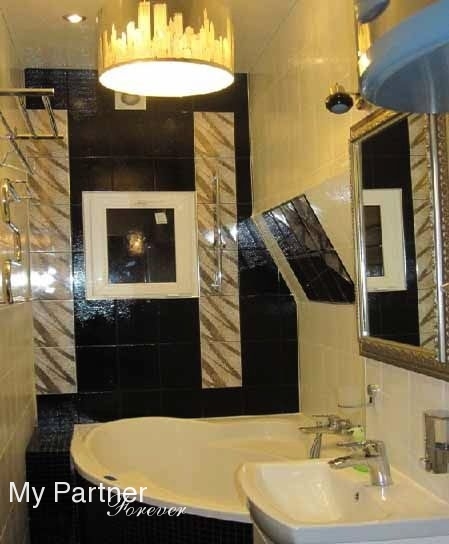 This one bedroom Euro Standard apartment in Odessa city center, on Deribasovskaya Street. The apartment consists of studio bedroom and bathroom with big corner bath. The apartment is equipped with air conditioner, internet access, autonomous hot and cold water supply, satellite TV, washing machine, hair dryer, iron with ironing board, microwave, cooker, stuff for cooking, refrigerator, electric kettle, stuff for cooking, 2 TVs, DVD. One bedroom apartment in two levels is wonderful. You have never seen such a beauty before! 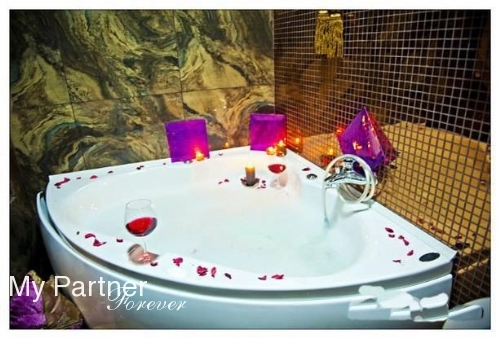 Convenience: air-conditioning, LCD TV, DVD, wi-fi internet, jacuzzi with aero and hydro-massage, kitchen with electric stove, electric kettle and washing machine. is located directly on the corner of the two main streets of Ekaterininskaya and Deribasovskaya. All cafes, restaurants and nightclubs are within short walking distance away. The window views and balcony facing Deribasovskaya Street. The apartment is fully equipped with everything one may require for a comfortable stay including a couch (convertible to full sized bed in the living room), additional round couch / bed which can be used as second bedroom, 40 Inch LCD TV with cable (over 75 channels), High Speed Internet (Wi Fi), fully quipped bedroom, large wardrobe area, fully quipped kitchen with microwave, additional TV, large bathroom with Jacuzzi, washing machine and much more. Down town of Odessa. 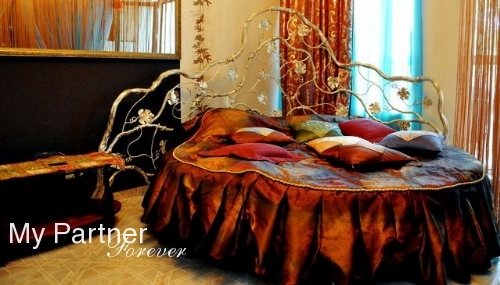 Marvelous interior, stylish and expensive furniture, high-quality redecoration materials and original illumination create the unique atmosphere of cosiness and warm. On the first level – cozy living room with comfortable corner leather sofa bed, plasma TV set, DVD, Satellite television , high-speed internet, kitchen-studio made by the author’s design and equipped with the first-rate household appliances from the well-known producers. Equipment: Air conditioner, plasma TV set, DVD, satellite television, high-speed Internet, washing machine, microwave oven, espresso coffee-machine. Down town of Odessa. Wonderful view down the Odessa port. The fourth floor of the fourth-storied old and strong house. Magnificent cascading illumination, delicate pastel shades spectrum is used in this interior. Expensive accessories and furniture, first-class household appliances of well-known producers, build-in kitchen appliances made to individual order, build-in household appliances. Studio space is divided into bedroom and living room with the stylish partition. Living room has corner leather sofa double bed, plasma TV set with the great number of TV channels (satellite and cable televisions), DVD-player, high-speed Internet. There is the large double-bed in the bedroom. This brand is located on the 5th floor of 9 storied new building with elevator. Location: less than 5 minutes walk away from Deribasovkaya Street, along with numerous other attractions as well as bars, restaurants and cafes. The common area is over 80 square meters.. This apartment has 2 separate bedrooms and kitchen-studio, which has exclusively designed lights and furniture, Air Conditioner, Plasma Screen TV-set with cable, Jacuzzi, washing machine, microwave. The windows feature wonderful views of the historic center of Odessa. 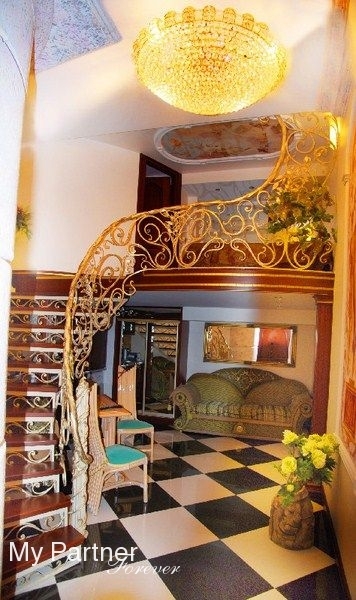 VIP class apartment in a classic style in the centre of Odessa, the house is in front of Opera Theater. The total area ? ?80m, parquet floor, water heating, WiFi, telephone. The apartment is quiet and cozy due to the wall thickness of 1.5 m, there is also the wood burning fireplace, four TV sets, 3 air conditioners, bedding, bathrobes, towels, safe, water supply capacity of 700 litres,and many other things such as from the windows you will have a unique opportunity to observe the wonderful view of the city. This brand is on the 9th floor of 9 storied new building with elevator - historic center of Odessa, less than 3 minutes walk away from Deribasovkaya Street. The common area is over 65 square meters. The 1st bedroom (20sq m) has double round bed. 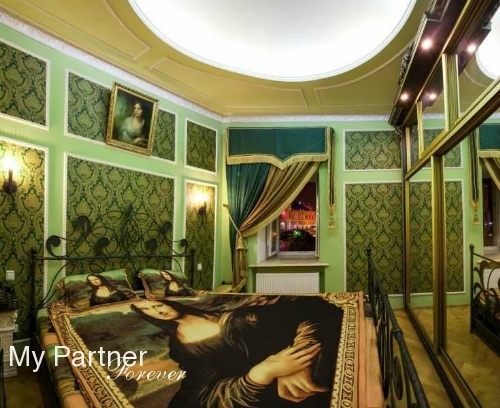 The 2nd bedroom (17sq m) has a double bed. The apartment also features a large 30 square meters patio with a beautiful view and a working fireplace. The studio-kitchen (17sq m) has exclusively designed lights and attractive furniture. 2 Air Conditioners, 2 Plasma TV-sets (with over 70 channels and cable), double Jacuzzi, washing machine, microwave – everything you need for the comfortable stay in Odessa.